Incontro Restaurant & Lounge has brought award winning cuisine and metropolitan style to the suburbs, conveniently nestled 100 yards off 495 inside the beautifully restored Brookdale Mill. Meaning "encounter" in Italian, Incontro's food and atmosphere is only part of the story. 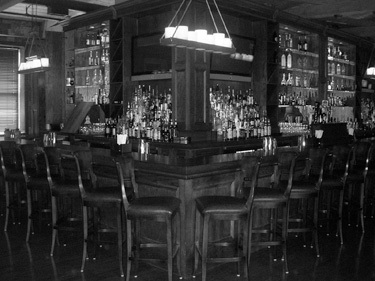 Go upstairs and encounter the gleaming wood bar and the glowing candle lights. Cozy fireplaces, oversized leather chairs, plush round booths and a baby grand piano fill the lounge area. Step into our billiards parlor and discover twelve elegant championship billiards tables. No expense has been spared in transforming this 19th century textile mill into a dining and entertainment destination for Metro West and all of Rhode Island. From the crispy calamari to the Neapolitan style pizza, it's a delicious journey seldom traveled in these parts. Complementing the large and varied menu (which features only the finest aged beef, chops and market fresh fish served Tuscan steakhouse style) is an extensive, unparalleled wine list consisting of over 150 selections from around the world.